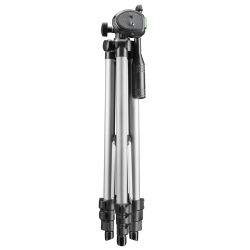 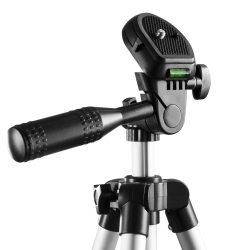 This compact tripod was devised for outdoor use and is ideal for simply putting it into your backpack or carrying it on your shoulder in the included tripod bag. 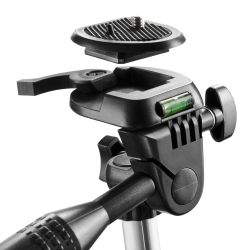 A 3-way head with bubble level facilitates the adjustment of the right picture detail. 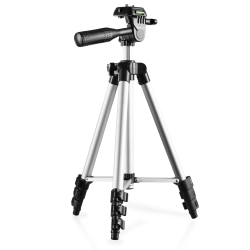 A secure stand is guaranteed by a star which additionally fixates the tripod legs. 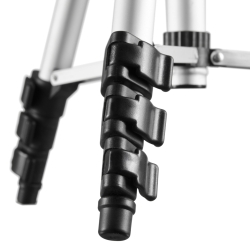 The height of the extendible center column can be adjusted flexibly.